Properties in Copenhagen Svanemollen Station average 4.4 out of 5 stars. ★UNIQUE CITY CENTER LOCATION -100% Guaranteed! Turist places at your door step! Property 120: ★UNIQUE CITY CENTER LOCATION -100% Guaranteed! Turist places at your door step! 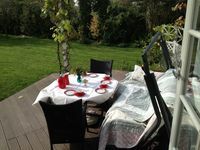 Ahsan Tusher-Luxurious apartment,sharing toilet & kitchen in central Copenhagen. 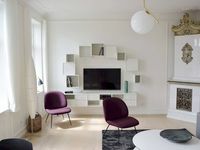 Property 123: Ahsan Tusher-Luxurious apartment,sharing toilet & kitchen in central Copenhagen. Luxury Suite with a Perfect View of the Harbour! Property 126: Luxury Suite with a Perfect View of the Harbour! New York style flat in the very Centre of town. Property 131: New York style flat in the very Centre of town. house is cozy and nice. if you do not like cat, then better don't. Beautiful apartment right in the heart of the city. Super convenient to main attractions and restaurants. Very responsive owner and easy check-in.